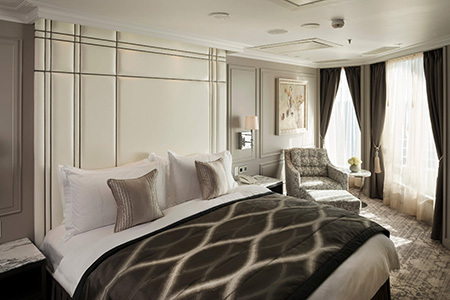 Inspired by the classic flats of London and the sophisticated style of Manhattan, the Crystal Penthouse is the ultimate home at sea. Tastefully designed to include a spacious living room, separate dining area, master bed and bath, and a media room/den which doubles an alternate sleeping room. A private workout room, pantry with butler entrance, guest bath with shower, and private verandah create an indulgent space for worldly travels. 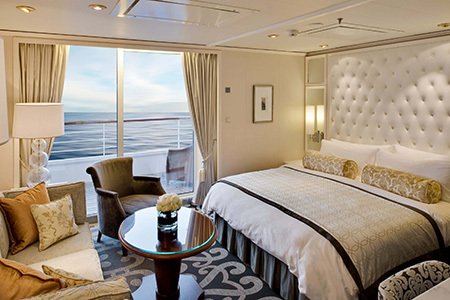 With floor-to-ceiling tufted headboards, Penthouse Suites are available with a queen-size bed as well as twin beds. 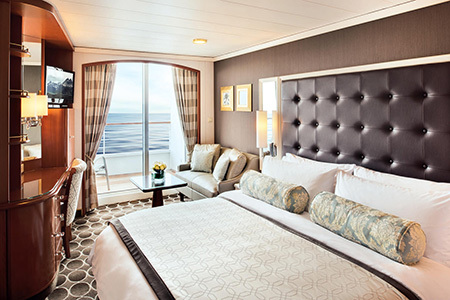 A third berth is available. Your indulgent home away from home is attended to by your Penthouse butler, where your every conceivable need is fulfilled with expert care. Sophisticated elegance envelopes these butler-serviced Seabreeze Penthouse Suites, featuring a king-size bed with plush bedding, spacious sitting area, walk-in closet, large, luxury showers with body jets, and private verandah. 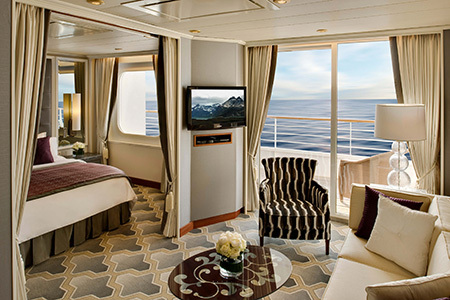 With floor-to-ceiling tufted headboards, Penthouses are available with a queen-size bed as well as twin beds. 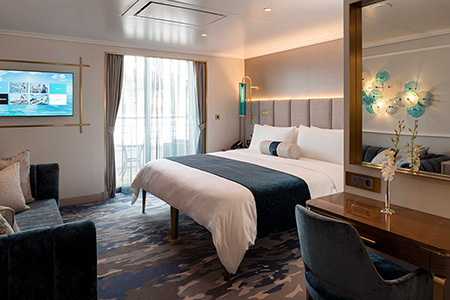 A third berth is available. Your indulgent home away from home is attended to by your Penthouse butler, where your every conceivable need is fulfilled with expert care. Sophisticated elegance envelopes these butler-serviced Seabreeze Penthouses, featuring a king-size bed with plush bedding, spacious sitting area, walk-in closet, large, luxury showers with body jets, and private verandah. 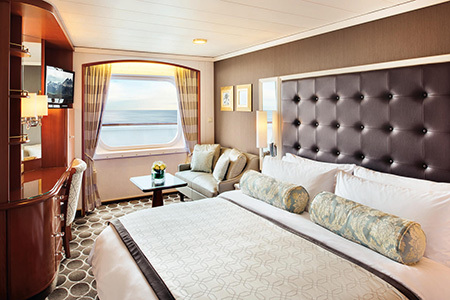 The ever-popular Deluxe Oceanview Staterooms feature a private verandah, seating area with a soft leather sofa, and luxurious queen-size bed or twin beds. 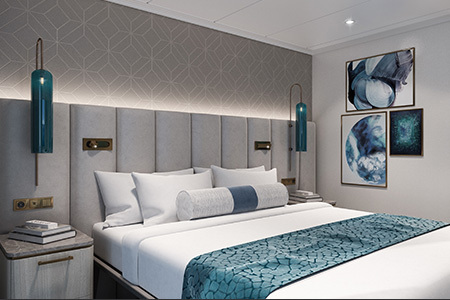 Your home on the high seas, the Deluxe Staterooms feature a seating area with a smart leather sofa, large picture window, and luxurious queen-size bed or twin beds.